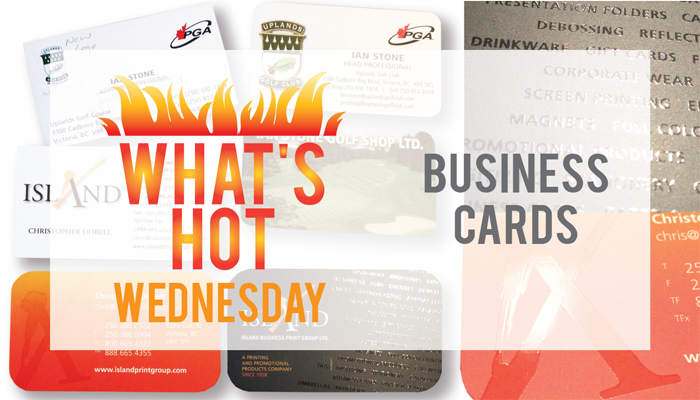 One of the most common pieces of print material is the all important Business Card. Most of us probably have at least one in our wallet. It may be ours, or one of a person we intend on contacting. When you’re at a networking event, it’s a really handy tool. However, walking out of a night of networking, how many cards do you walk out with? Which one do you look at first when you get home? Once, after coming home from an event with my partner, we had 25 cards to sort through! You want your card to stand out from the rest. Be unique! 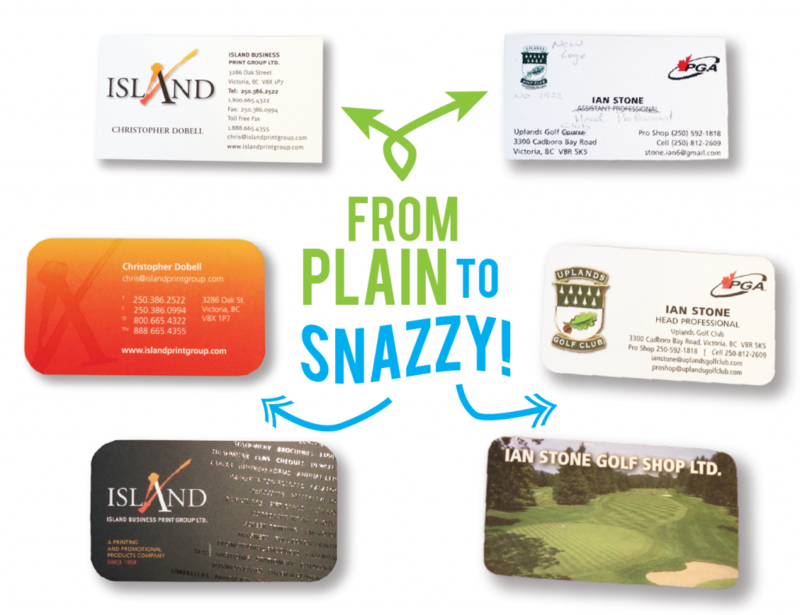 We want to give your boring business card a makeover. We want your potential client to keep your business card in their wallet, on their desk or where ever it is that they’ll use it! We redid ours a while back and when we did, we couldn’t believe we hadn’t done so sooner! There are so many options, it would be hard to name them all, but let me show you what we’ve done! It creates a raised glossy area. There are many ways to take advantage of this awesome finishing technique. There are so many other finishing options to make your card stand out. Emboss, Spot Gloss, Deboss, Custom Shape, Full Colour….the list goes on and on! What would you like YOUR card to look like?